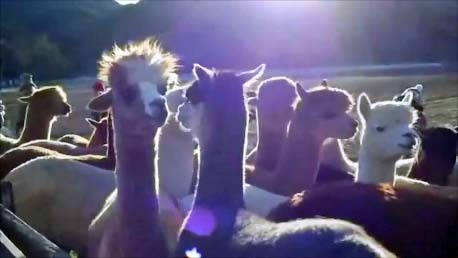 When we were asked to provide 20 alpacas for the filming of a commercial, little did we know that the commercial would be premiering during the most watched television event of the year! Few details were provided about the nature of the commercial other than it was for Lincoln Motor Company. A little detective work on the internet led to a surprising and unexpected answer. A YouTube video entitled “Steer the Script – Final Week of Shooting” filled in the blanks. 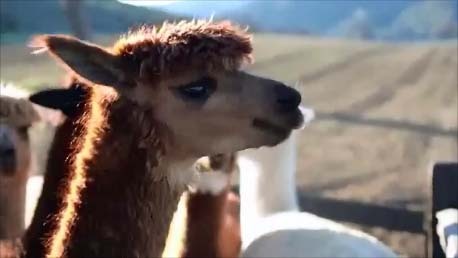 It featured some familiar faces....alpaca faces that is. In the Lincoln’s first-ever Super Bowl spot, five crowd-sourced tweets – solicited by comedian Jimmy Fallon are meshed into one story line for the 60-second spot. The five tweets were selected from among 6,117 solicited by Fallon, who asked folks to send him tweets about their craziest road trips. Apparently one of those trips includes alpacas! We are anxiously waiting to see the finish product on Super Bowl Sunday! It will be a great day for football and ALPACA!